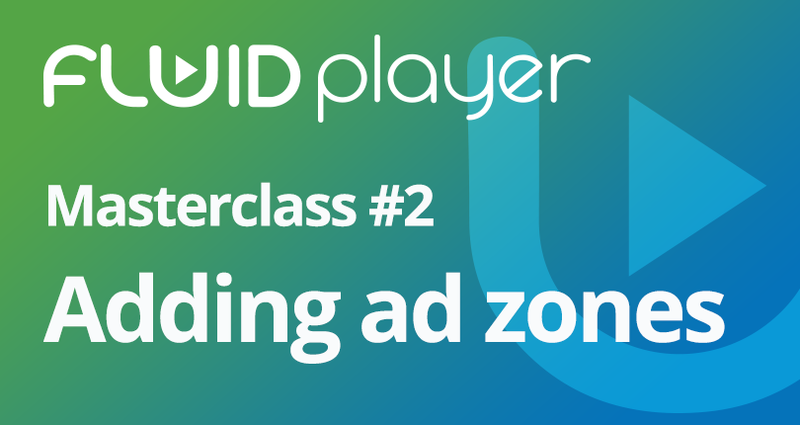 If you are not an expert in writing code, this Master Class will show you the code you need to add different ad zones using VAST, so you can easily add it to your website to monetise your video content through Fluid Player. The In-Video (VAST) format allows publishers to have one or multiple ads displayed along a video’s timeline within Fluid Player. adList: This will allow you to set up one or multiple VastTags. (Please note the VAST tag XML response Content-Type must be either application/xml or text/xml). roll (mandatory): This is used to set the timeline position of Pre-Roll, Mid-Roll, OnPause, Post-Roll. vastTag (mandatory): Ensure that you set it with the url of the VAST XML (Please find the supported tags/attributes here vastLinear.xml). timer (only for mid-roll): This schedules when the ad(s) play either after the specified number of seconds or after a certain percentage of the video content has been viewed. nonLinearDuration (only for nonLinear, optional): The number of seconds until the nonLinear Ad will be shown. If this is not set, the in-video ad will be displayed until the user clicks close [x] or the ad will be displayed until the video ends. Each of the codes below define the different options you have to add video ads into the player. This code should be added after the </video> tag. This is the video ad list including the pre-Roll VAST file. This is the video ad list that includes the On-Pause option. This is the video ad list that includes the Post-Roll option. For more information please visit Fluid Player’s documentation page. Fluid Player is open source, so join the community and see what new features developers are creating for Fluid Player on GitHub.